Betsy DeVos seems to believe she is doing God’s work when it comes to education in America. So, I thought this Christmas I would gather some of my favorite Bible verses for her to mull over. He is the reason for the season after all. There are so many Bible verses indicating that Jesus loves the poor. He doesn’t seem too keen on the wealthy. What seems certain, is that he expects much from them. What would Jesus think of the Republican tax bill? U.S. News and World Report is claiming it is a victory for Betsy DeVos and her choice agenda. The New York Times is reporting that this bill will hurt public schools through the expansion of 529 education savings accounts. Expanding 529 plans to deliver state deductions to private school families will erode the tax base that funds public schools, affecting high-poverty schools the most. By limiting state and local tax deductions at the same time, Republicans would make it harder for states and cities to raise taxes to make up for those shortfalls. Public school haters will like this, but it will hurt poor students. 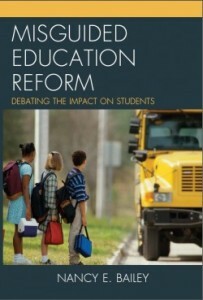 Remember, ninety percent of America’s children attend public schools. The wealthy who already have their children in fancy private schools will get a nice tax break. Poor kids might get choice but it won’t be enough for them to get into the best private schools. That’s always been the problem with choice. Poor children will be segregated into a variety of substandard, unregulated, “no excuses” charter and religious schools. Betsy DeVos’s recent commentary in Education Week entitled “Tolerating Low Expectations for Children with Disabilities Must End” was particularly judgmental of teachers who work every day with children who have disabilities. It was offensive. The term “high expectations” is out of the NCLB playbook. DeVos doesn’t understand the heart of a dedicated special education teacher. There’s a shortage of special education teachers. Many will no longer work in classrooms where they are not supported. Parents will no longer have access to protection for their children in public schools. Betsy DeVos has never taught children, let alone those with disabilities. She really has no right to criticize. Nor is she supportive. She also repeatedly refers to Endrew F. vs. Douglas County School District, yet the parents of that child have said they don’t want to be her poster child for choice. Blessed are the poor in spirit, for theirs is the kingdom of heaven. Blessed are those who mourn, for they shall be comforted. Blessed are the meek, for they shall inherit the earth…. Most of the teachers I know are not meek, nor do they waste time mourning. They focus on what’s important—the children they teach and the issues surrounding them. But I still think they will inherit the earth. They overcome crummy buildings, huge class sizes, the lack of materials, sometimes even the barest necessities. They plow through the obstacles created by the corporate reformers like Betsy DeVos who judge from afar. Teachers help children create art work when their art classes are eliminated. They wipe runny noses, and clean themselves off when they get vomited on during flu season. Teachers listen. They cry with their kids when they experience loss. Here’s just one of my past tributes to teachers. Every day, strong, well-prepared teachers stay in the classroom despite policies made by Betsy DeVos and her ilk. They strike me as the kind of people Jesus would like to hang out with no matter their religious beliefs. When our democratic public schools are gone, when we have rich schools and poor schools, and for some students, no schools, and all those dedicated teachers are replaced by screens, what will Jesus think about all that? Merry Christmas, Betsy DeVos. Enjoy your eggnog. As a liberal Methodist Christian, it baffles me that the right does not understand that taxes are one way that we love our neighbors. Getting rid of tax revenue is just the beginning of the slippery slope of social destruction. Less tax revenue means the right can then use that as an excuse to cut the programs which help ordinary people:. The biblical equivalent of ordinary is, “The least, the last, and the lost.” I am terrified for my ADHD son. Yes. Great points, Karen! We have definitely lost the “we” and “us” when it comes to social programs, especially schools. Thank you! Betsy DeVos is the most wicked and evil doer to public education because she rationalizes all she does with the guise of helping. She only helps herself with money. She is a menace to public schools. I think many CEOs and corporate reformers are like her. The question is, are they doing what they’re doing believing it is right? Thank you for this important comparison. Betsy DeVos, along with the new tax bill, do great harm to our children, and the neediest in our society. Your accompanying photo of the angel connects this post, in my mind, with the Dr. Who episode “Blink.” Intentionally or not, your views line up with the theme that we can’t blink when considering what evil lurks in Betsy’s heart and mind. She likely believes she is doing what she should. Many others would interpret that she is not. Wish she would consider those verses. Nancy highlights the stunning hypocrisy we see in modern day American Christians, where seizing money from corrupt multi-billionaires to save the lives of sick and starving children is seen as a bad thing. The very rich have been waging a mind control campaign for over 50 years, implanting the idea that socialism is evil. From the McCarthy hearings to the modern day claims of trickle down economics, our mass media has been hijacked to reinforce that greed is good, the poor are lazy and wealth equals virtue. Most insulting are those that make these claims in the name of Christianity when the teachings of Jesus and the Bible clearly say the opposite. Three consecutive Popes have called out the “obscenely wealthy” as modern day sinners, so they respond by attacking the Pope. The DeVos family in particular practice a form of Dominionist Christianity, which uses corruption in the form of campaign bribery and physical violence in the form of privatized military campaigns who engage in “holy war” against Muslims, including civilian massacres. (Read Jeremy Scahill’s history of Blackwater to see how unaccountable contractors damaged relations with Iraq and Afghanistan). Sadly, we can say the same for many if not most Christians in the US, who hold the view that the government should not engage in helping the sick, the poor or the underprivileged by raising taxes on the 1%. This is a testament to their ongoing conditioning through talk radio, network news and the corporate media who profit the most from the current system of pseudo-Christian capitalism. Interesting points. Thanks for commenting, Jacob. There are hundreds of references in the scripture to economic equity. Few reference the social issues that guide modern conservatism even as it claims Christianity. Conclusions? One is that claiming Christianity is a great deal different from practicing it. Said Jesus, “not everyone who says Lord, Lord, will enter the kingdom of heaven. Thanks, Roy. You always make sense. You berate charters and vouchers as a source of substandard schools, but say nothing about the vast majority of failing, substandard, dead end traditional public schools. Worse yet, these schools have become so politicized conservatives and more and more moderates dread sending their children their to get proselytized in leftist dogma as he Democrat party becomes more and more a socialist party. Moreover, If you are white students are taught by the teacher to hate you. Then you want whites not to leave? Your silly biblical references are a nice try but I’m not buying. That’s because public schools serve 90% of America’s children. Public schools never reject anyone. Charters do. And when we don’t like what’s going on, we can try to help. 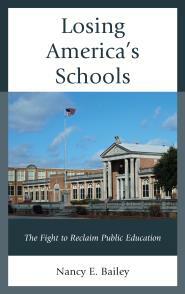 Public schools belong to the American people. It’s O.K. that we differ in opinion. Thanks for your comment.